Effective 2/7/2018, using UCLA BOL VPN to access new SEASnet remote desktop servers and RemoteApp is mandatory. Get Cisco VPN Software here. 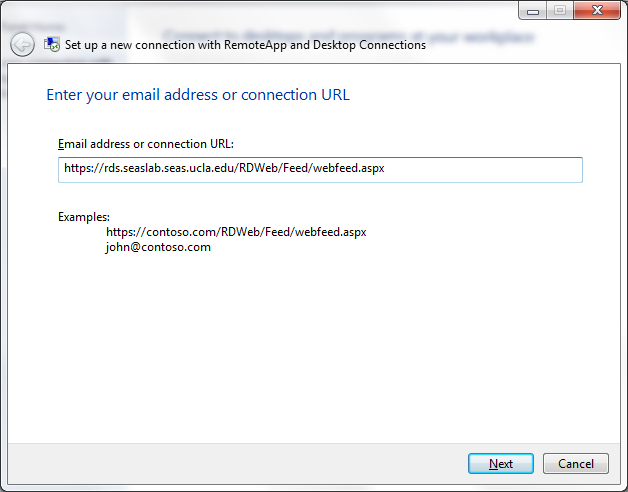 SEASnet offers the ability for students to access lab applications remotely using Windows RemoteApp and Remote Desktop Connections. Because this resource is extremely important for our students, access to the server is limited to students officially enrolled in engineering courses, and the system is only available through finals week. To access these applications, students must set up the service on their computers by following the steps below. In the box enter https://rds.seaslab.seas.ucla.edu/RDWeb/Feed/webfeed.aspx and click Next. There will be another window that pops up click next and windows will begin connecting to the server. You will be prompted for a SEASnet username and password. 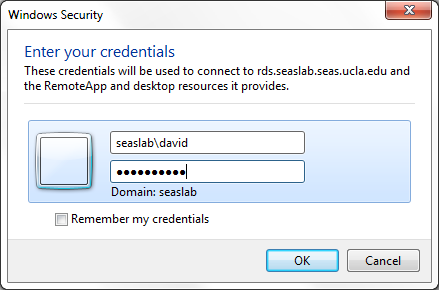 Type in seaslab\username followed by your password (see example above). 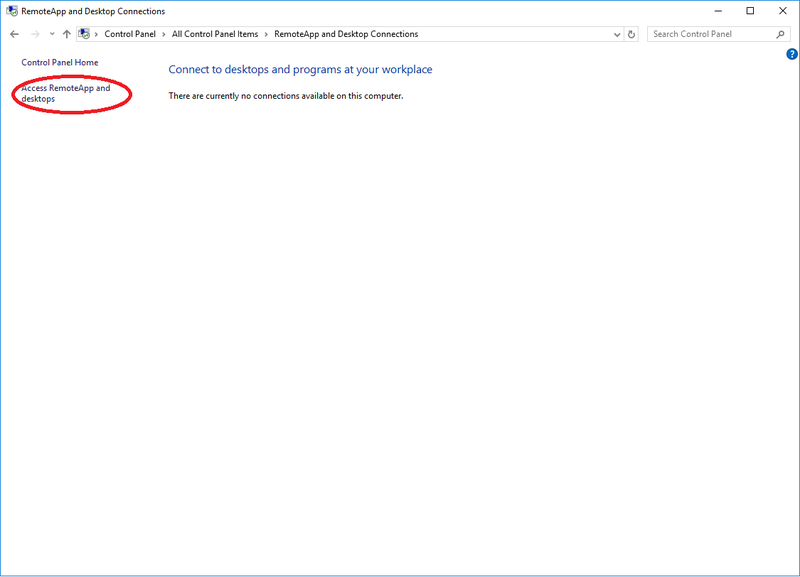 After you click Ok, Windows will guide you through the finishing steps and you will be able to see all your remote apps and connections in your start menu as shown below. Note: If you use Remote App and Remote Desktop server at the same time, or try to use Remote App right after logging of from Remote Desktop server, or try to use Remote Desktop server right after logging of from Remote App. There will be conflict because different servers trying to retrieve/store same profile at the same time and your account may not work properly anymore after that. You should now have all the access you require for your student resources. 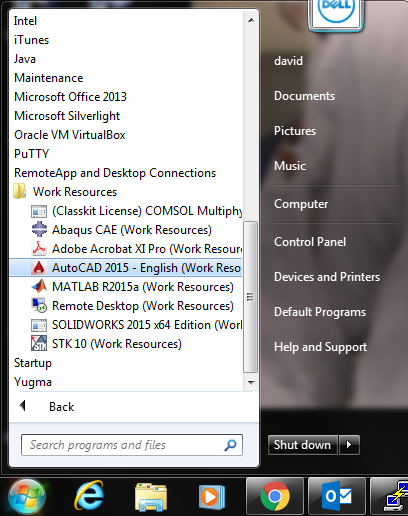 The resources are located inside the start menu under RemoteApp and Desktop Connections. 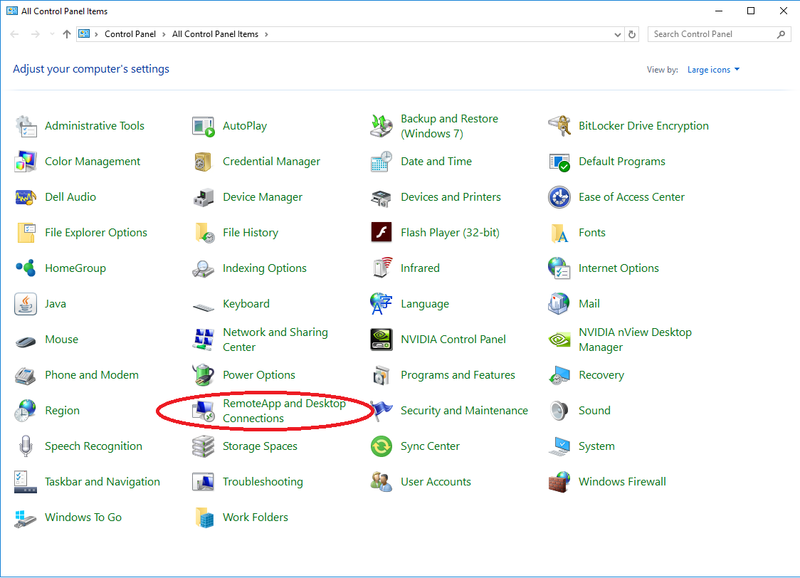 Clicking Remote Desktop(Work Resources will take you into the remote desktop and you will be able to access the remote server and all of it’s resources as well. 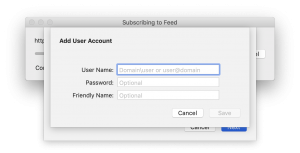 In the next window you will be prompted for a URL, Username and Password. 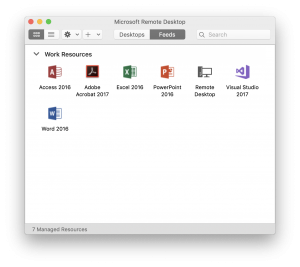 Click Refresh and close the window your remote apps should be in the window you saw when you first launched Microsoft Remote Desktop as shown below. 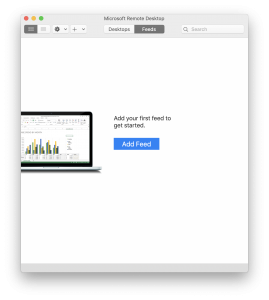 Depends on the classes enrolled, your RemoteApp icons may look different from what is showing below.